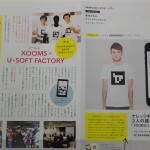 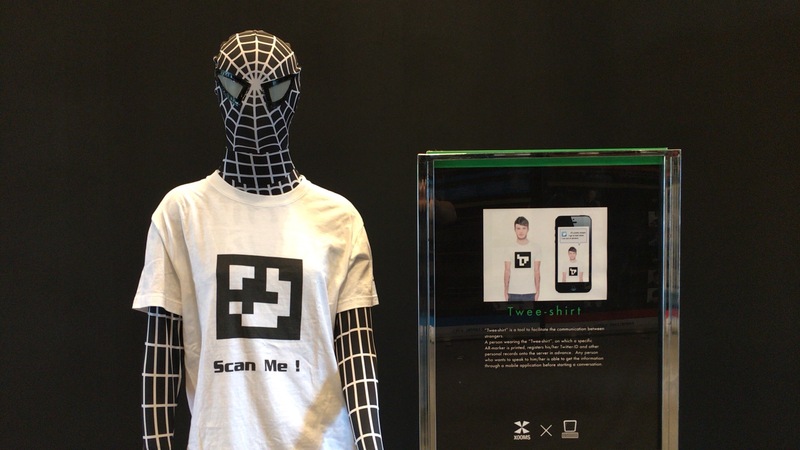 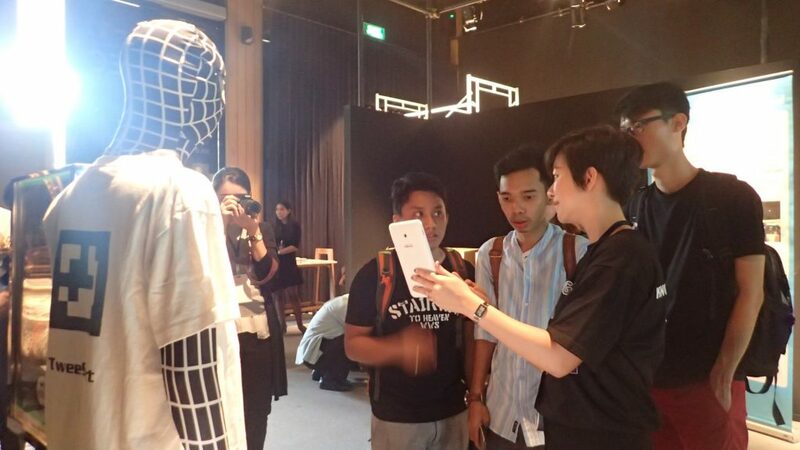 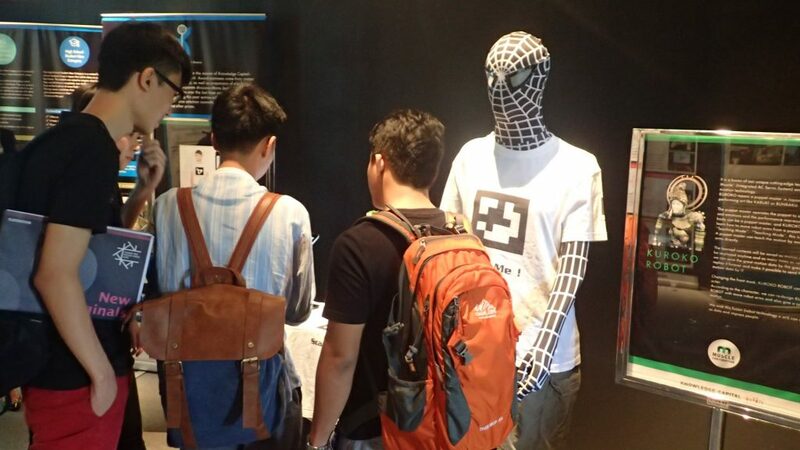 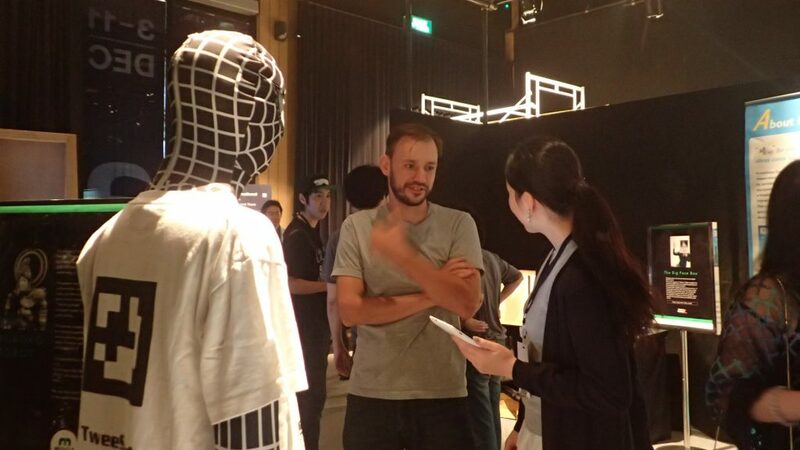 News | XOOMS co. ltd.
We exhibited ‘Twee-Shirt‘ at 「Chiang Mai Design Week 2016」 held in Chiang Mai, Thailand. 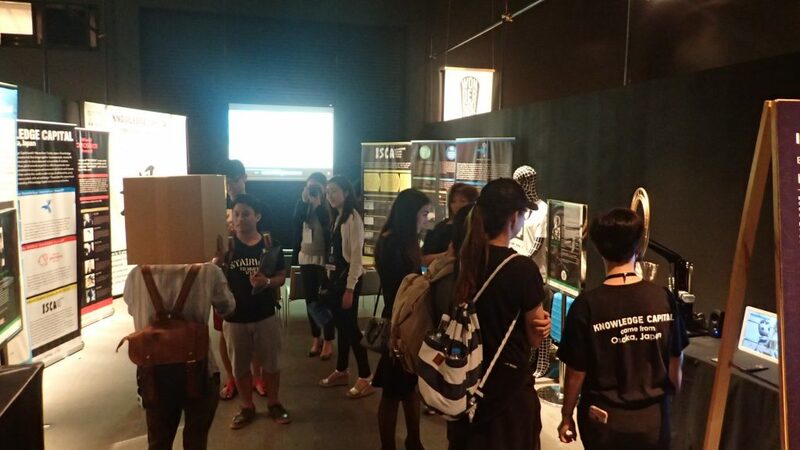 Chiang Mai Design Week is a yearly celebration and occasion for Chiang Mai’s designers, craftspeople, students, creative entrepreneurs, and businesspeople to showcase their new projects and innovations in design. 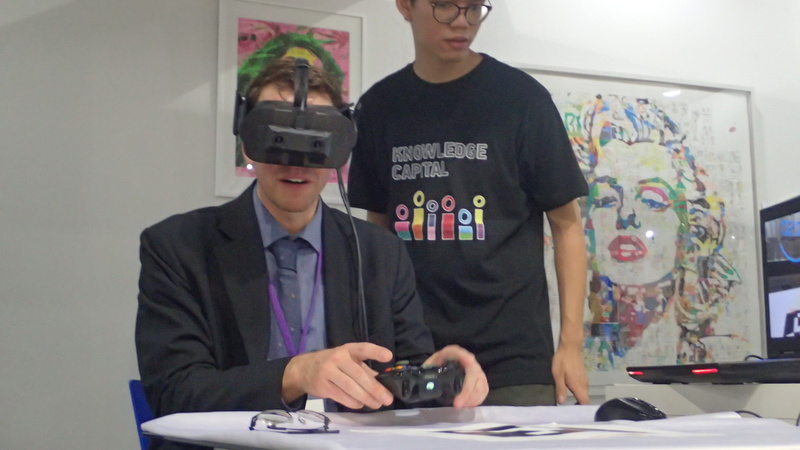 As a member of the Knowledge Capital, we luckily had a chance to show the Twee-shirt, which won the Knowledge Innovation Award 2015, to a lot of people in Chiang Mai and from other places, including Asia, Europe and America. 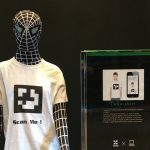 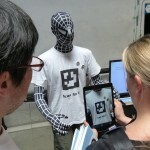 We demonstrated the multiple language tweets of Thai, English and Japanese, and could communicate with them beyond the ‘language barrier’, with the ‘Twee-shirt’! 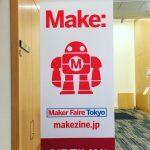 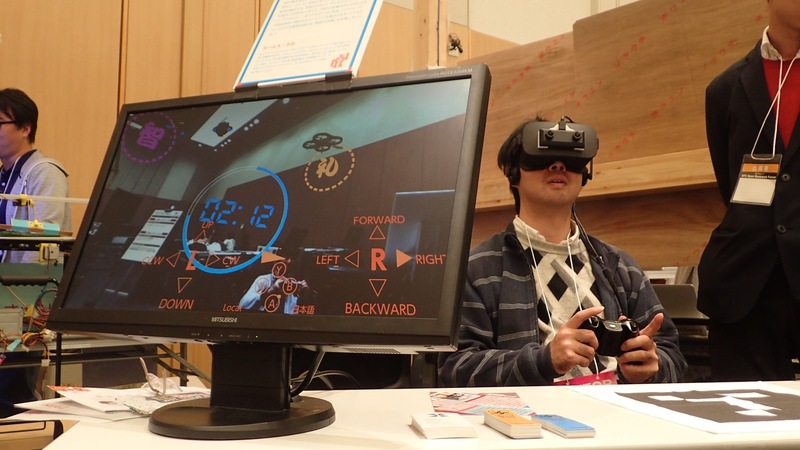 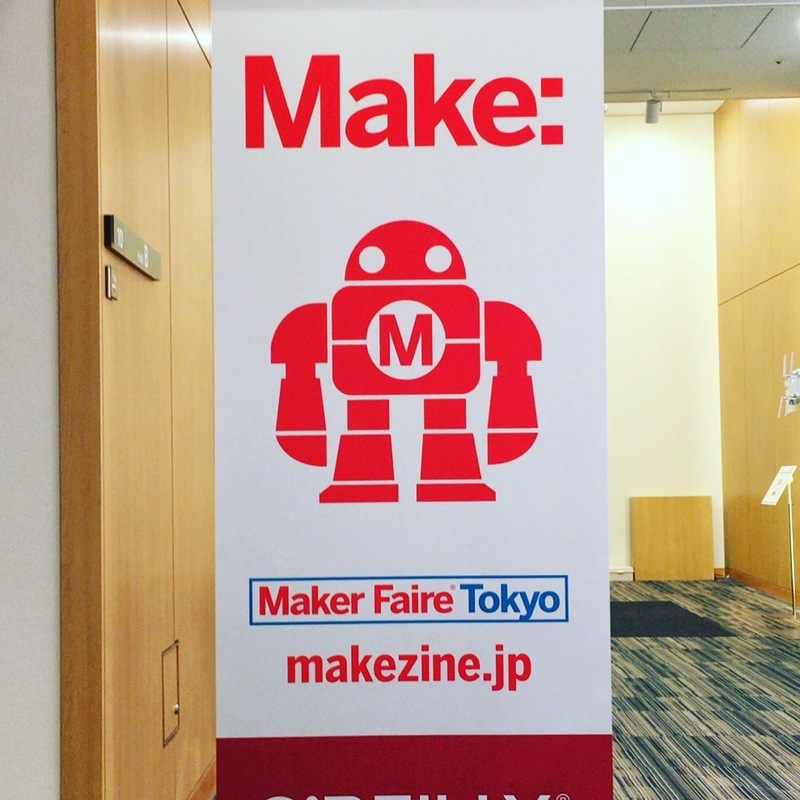 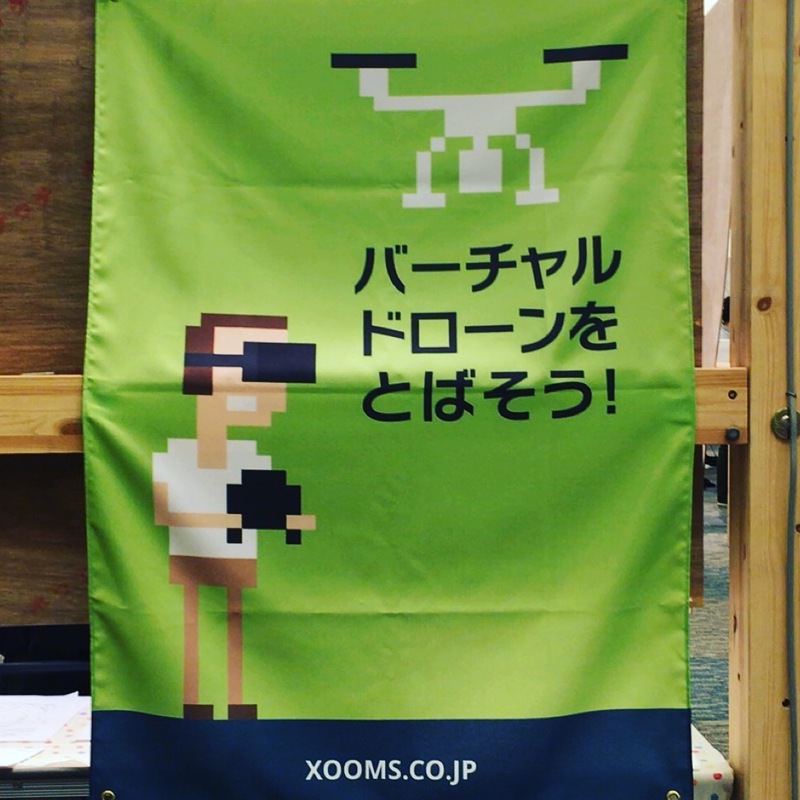 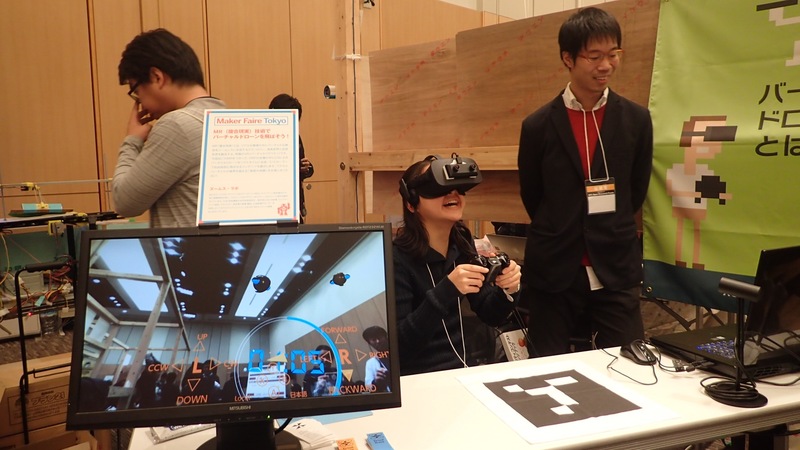 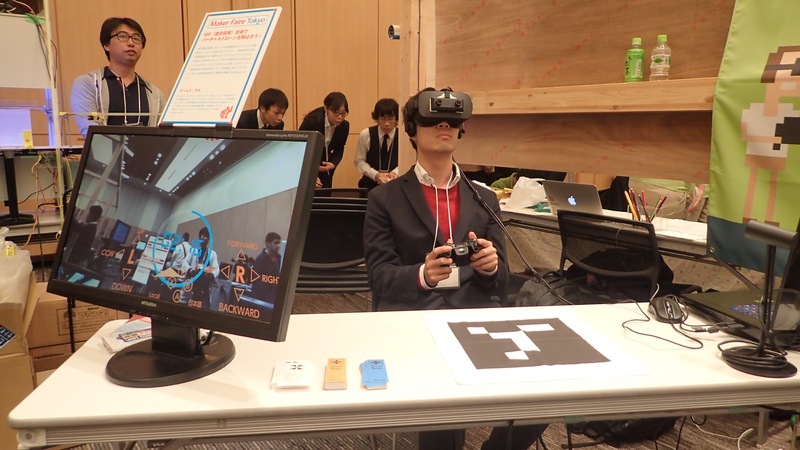 The virtual drone went to “Maker Faire Tokyo ORF Edition” which was held from November 18th and 19th, 2016 at Tokyo Midtown (Roppongi). 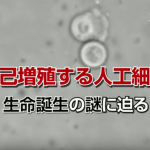 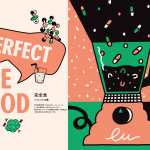 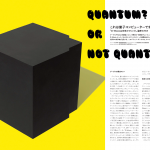 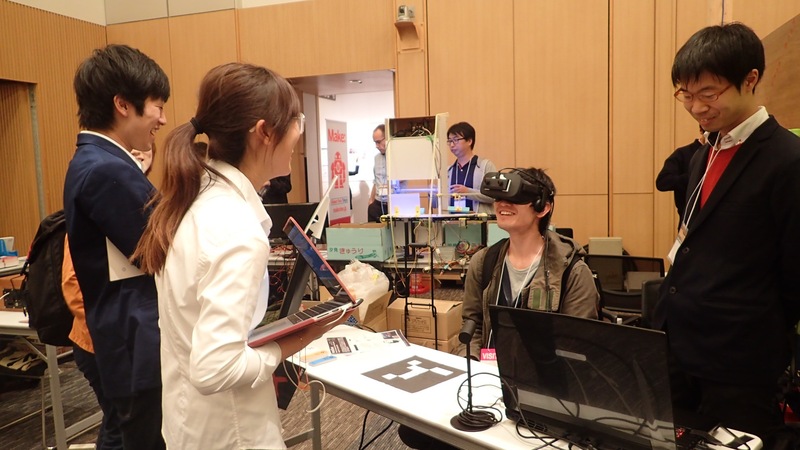 The “ORF” stands for “Open Research Forum”, which is one of the biggest outreach events of the Keio University Shonan Fujisawa Campus (SFC). 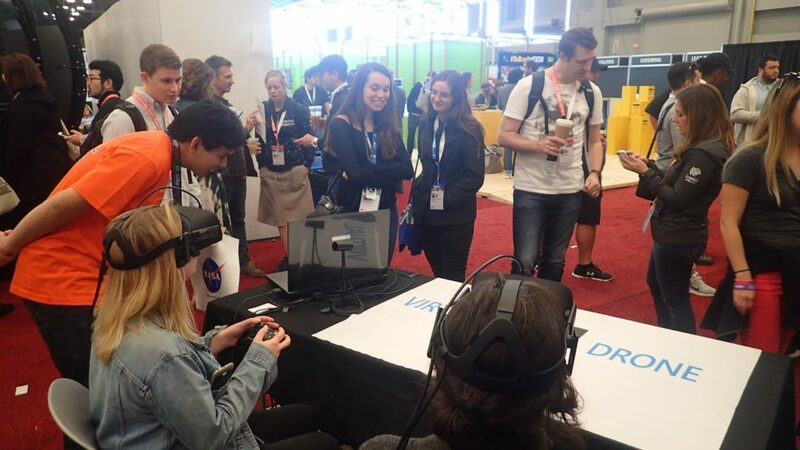 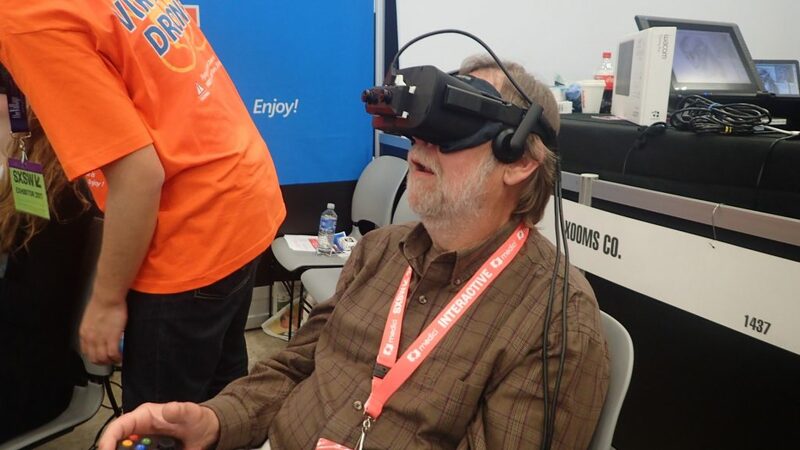 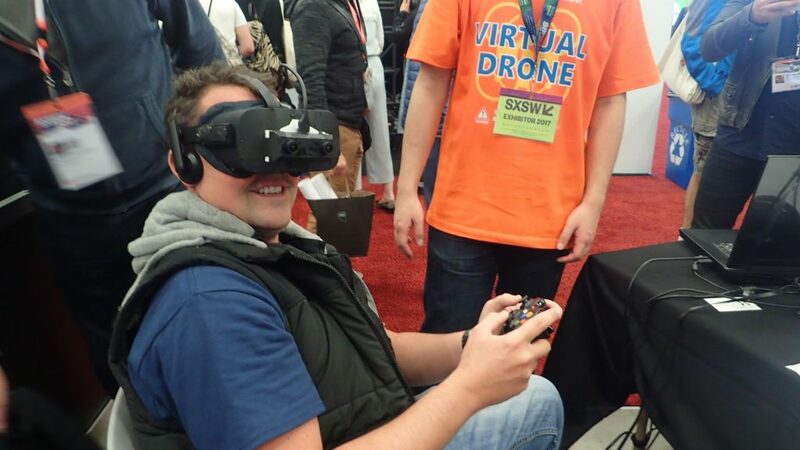 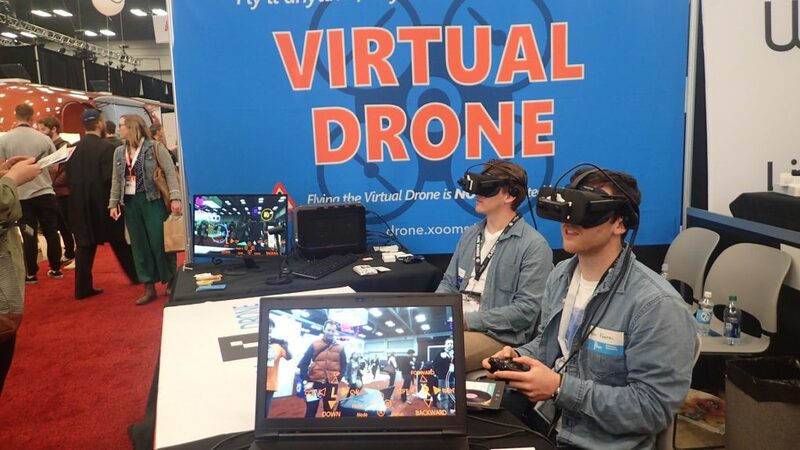 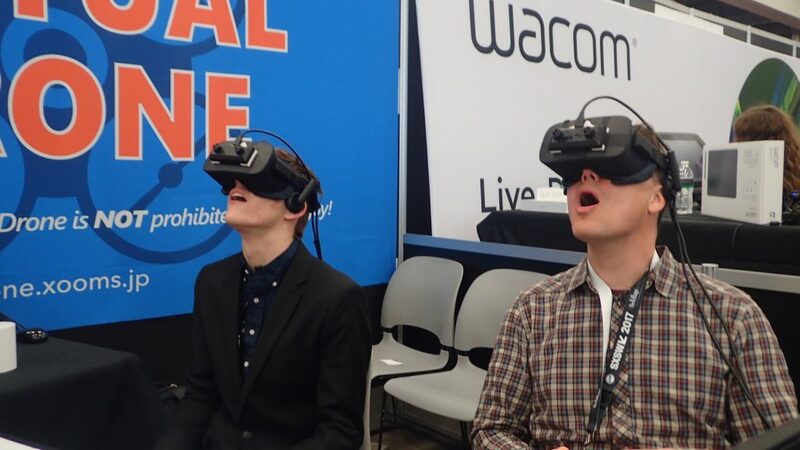 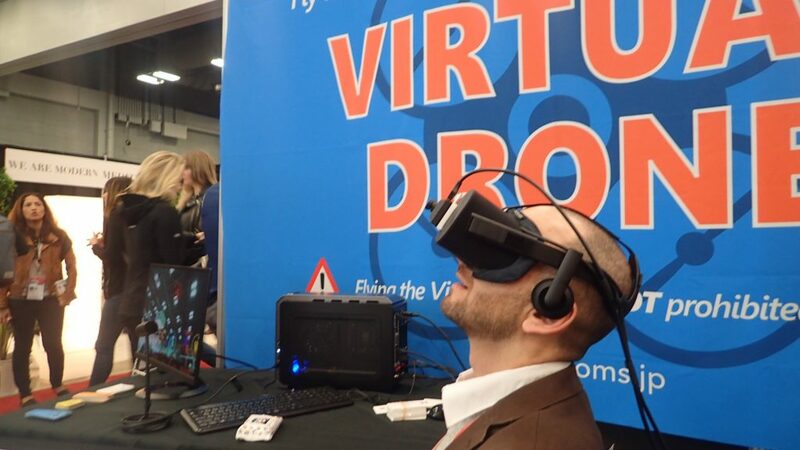 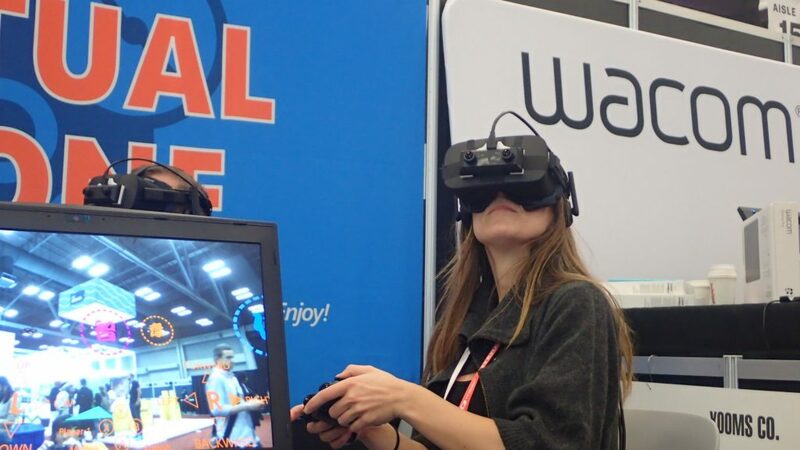 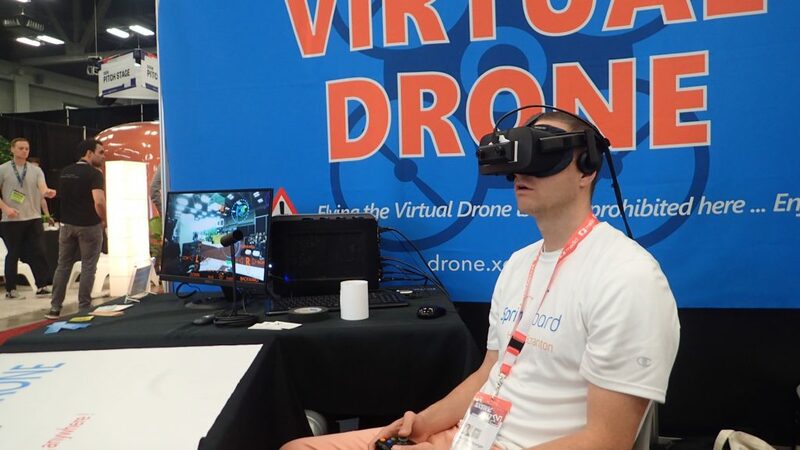 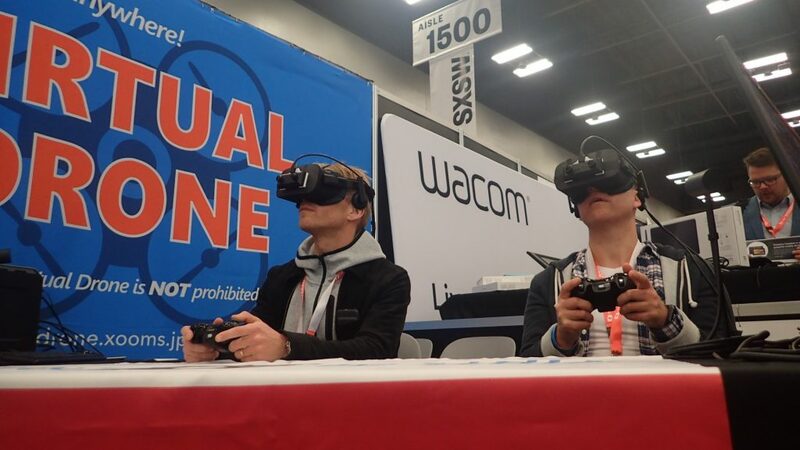 During the excellent two-day academic event, not only researchers and students, but business man and general people, we thinks, enjoyed the cutting-edge MR (Mixed Reality) content, “Virtual Drone”. 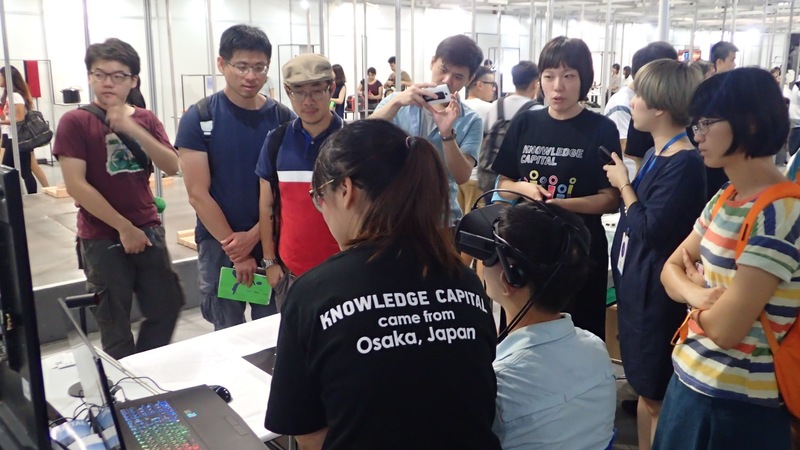 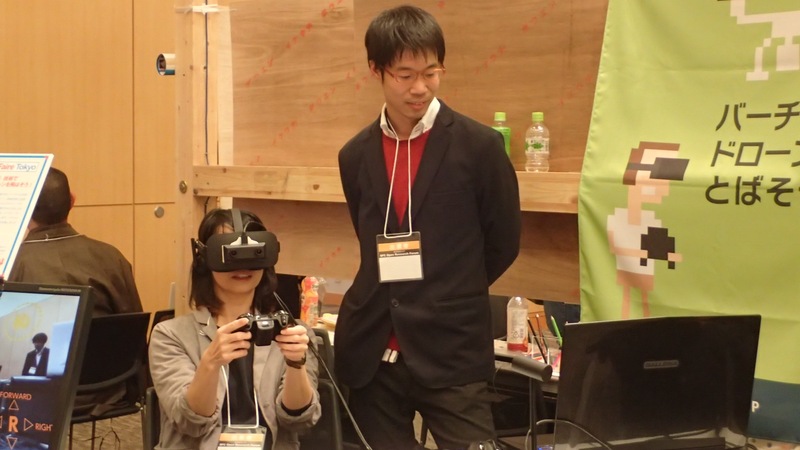 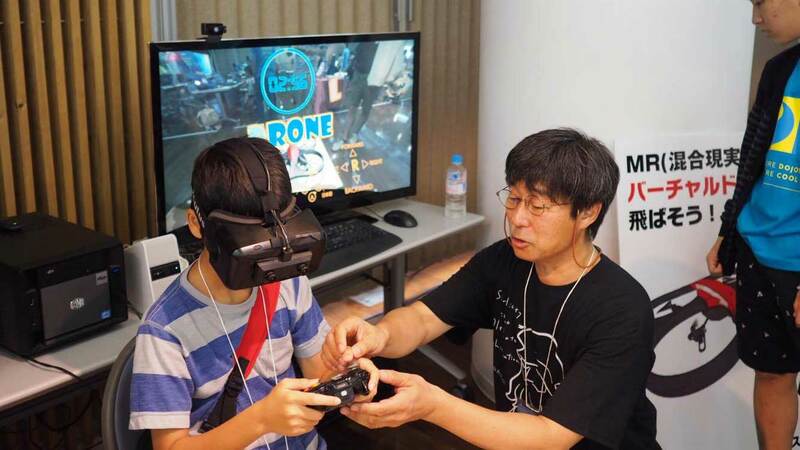 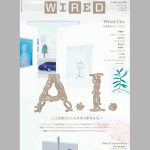 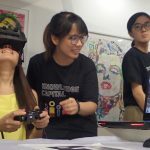 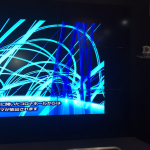 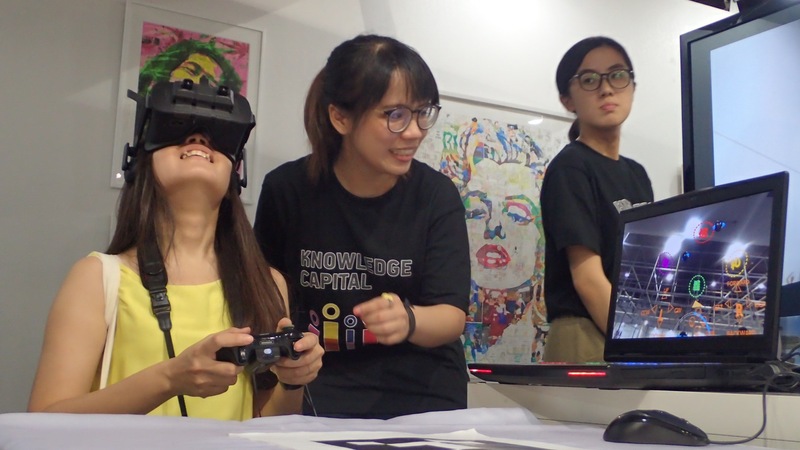 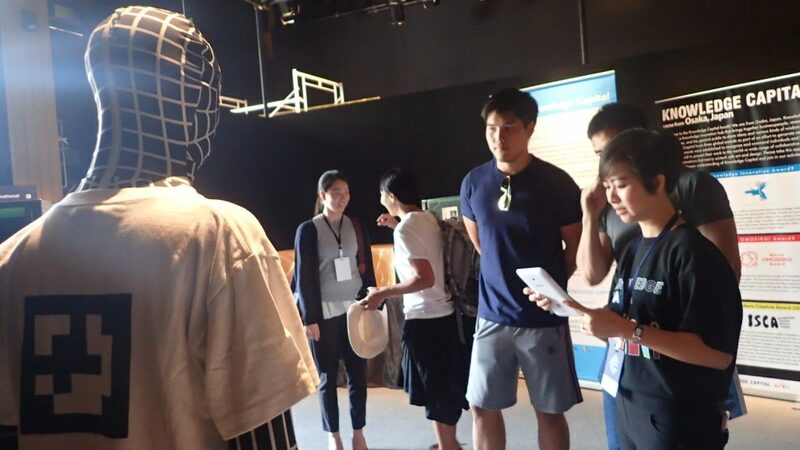 This time we could go to Taipei as a member of the Knowledge Salon, and demonstrated the latest version of the Virtual Drone which was exhibited this spring at the Knowledge Capital, Grand Front Osaka. 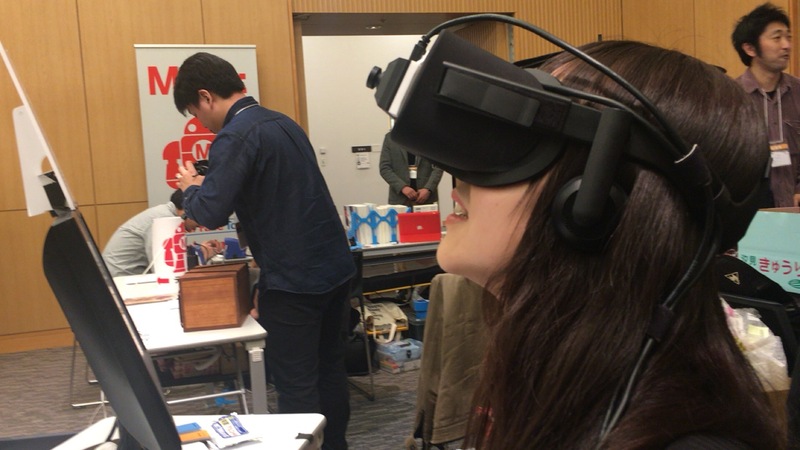 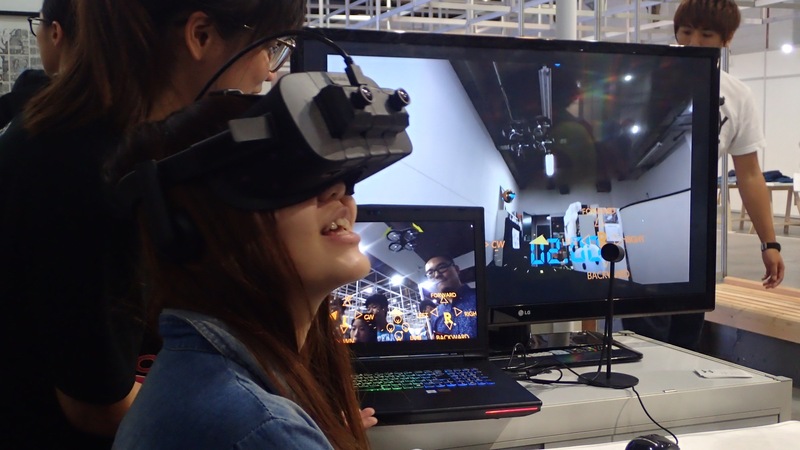 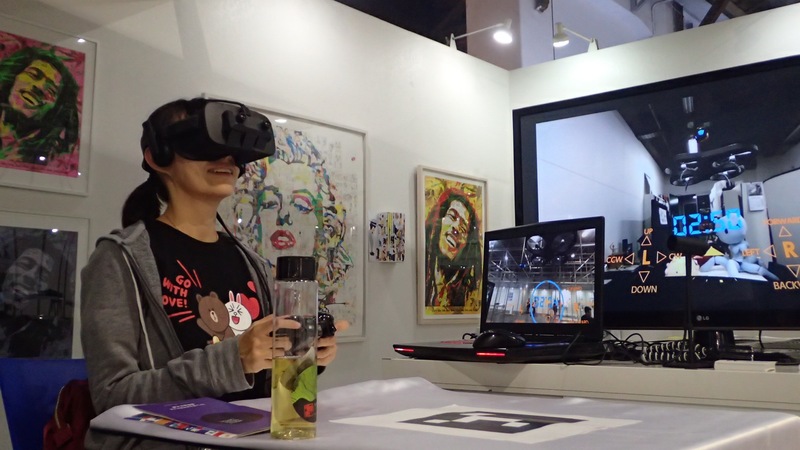 Because VR contents really need “experiencing”, we think a lot of people from different countries, not only Taiwan but other Asian countries and Europe, enjoyed our content. 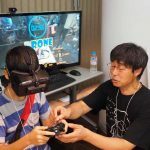 Their comments are really valuable. 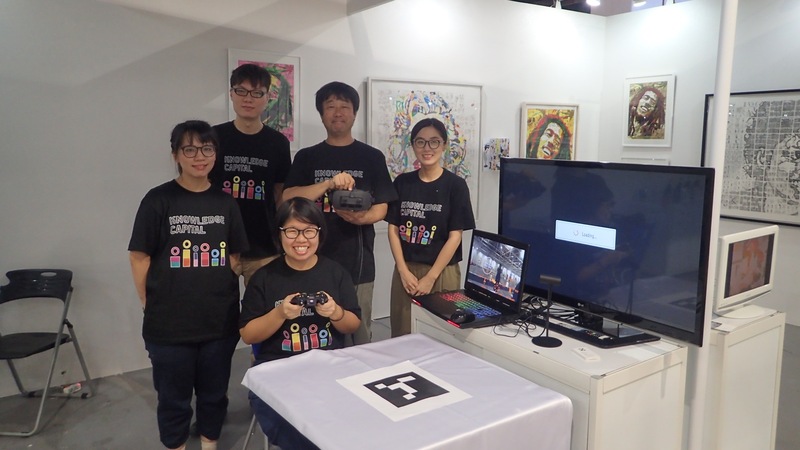 For the over-sea exhibition, we developed a mobile system with laptop PC and successfully improved the display quality. 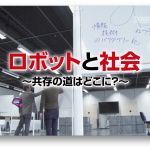 We could prove the feasibility of our prototype aiming at service-in. 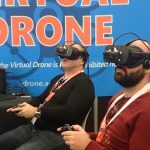 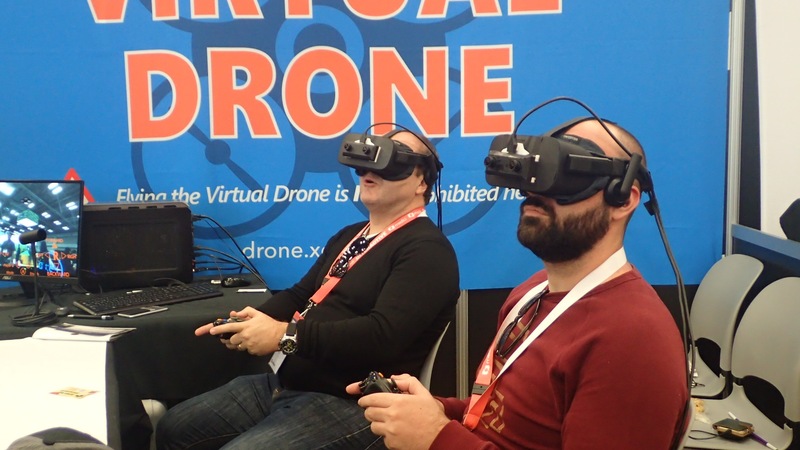 On August 27th, we demonstrated the virtual drone at DojoCon 2016 ! 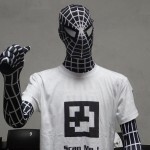 DojoCon is a special event in which more than hundreds of coordinators and mentors of CoderDojo, kids learning programming and supporters get together. 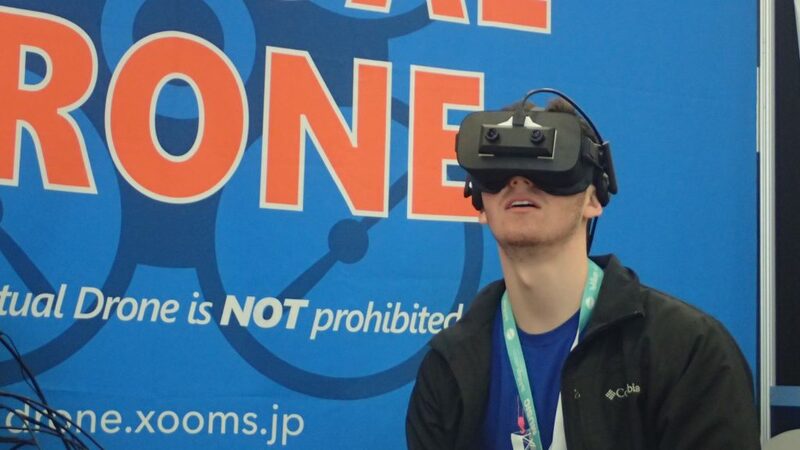 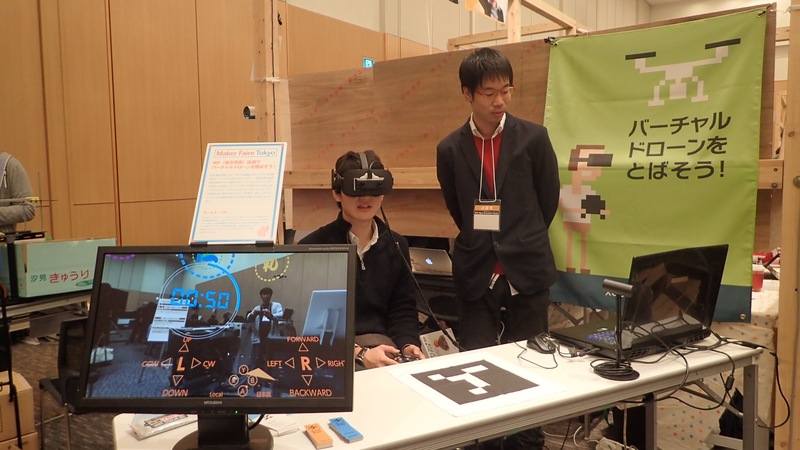 It was the first DojoCon in Japan! 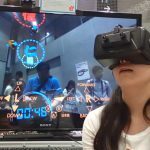 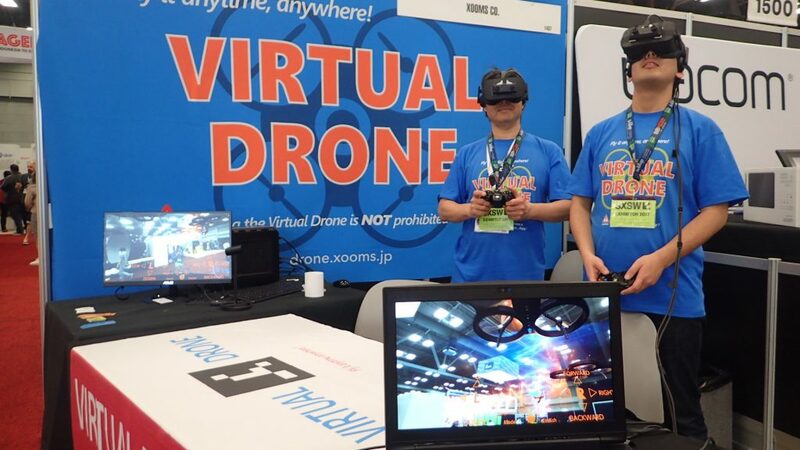 It was the third exhibition for our “Virtual Drone” after the “Mirai-lab” at Grand-Front Osaka and Maker Faire Tokyo 2016. 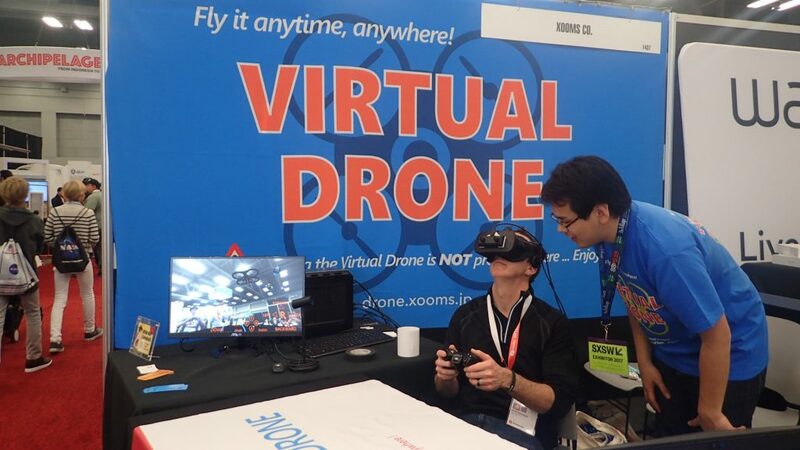 Not only kids from CoderDojo but a lot of their parents came in and enjoyed the virtual drone! 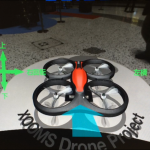 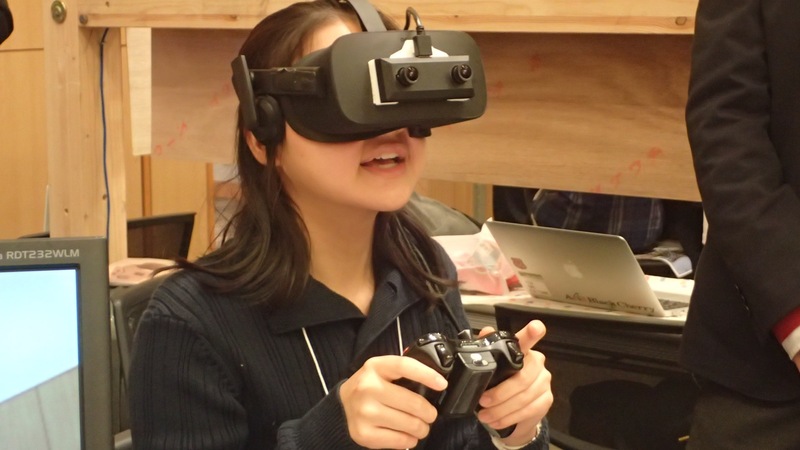 We’d like to improve the Virtual Drone, reflecting valuable advices from the programming kids!